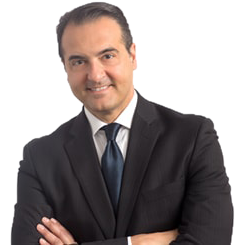 Mr. Yepes joined Arel Capital in 2013. He is part of the Investor Relations team, with a particular focus on the Americas. From 2012 to 2014, Mr. Yepes formerly was a Managing Director for Sales at AllianceBernstein’s Alternative Investment Group, where he worked with pension funds and consultants in expanding the firms North American business. Until 2012, Mr. Yepes was the Head of North American Sales and Client Relationship Management at FRM / Man Investments, a European based hedge fund of funds. From 2004 to 2010, Mr. Yepes was a Senior Vice President of Sales for Gottex Fund Management, where he was the head of North American Distribution and Client Relationship Management. Mr. Yepes holds a Bachelor of Arts degree from the State University at Albany, New York.